Explore the countryside outside Bologna on a self-guided bike tour with train transport. 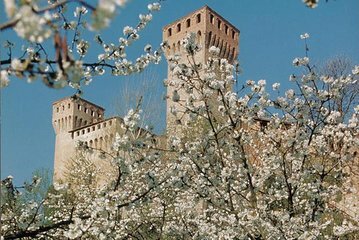 Take in the natural beauty of the Emilia-Romagna region, home to rolling, vineyard-covered hills, and visit the towns of Bazzano and Vignola to see fortresses and other historical sites from the Middle Ages. This is a great way to enjoy a day of sightseeing at your own pace and get a little exercise, too. Great fun - even on a rainy day. Beautiful countryside and the castles particularly in Vignola are spectacular. Lunch at the Osteria Della Luna was outstanding. This was an excellent trip and the team at the local tour operator were great - really helpful.